It is with great pleasure that I announce the release of our 5th WordPress Theme: ELEMENTARY. Elementary is a theme similar to our popular Lectura Theme, but different. 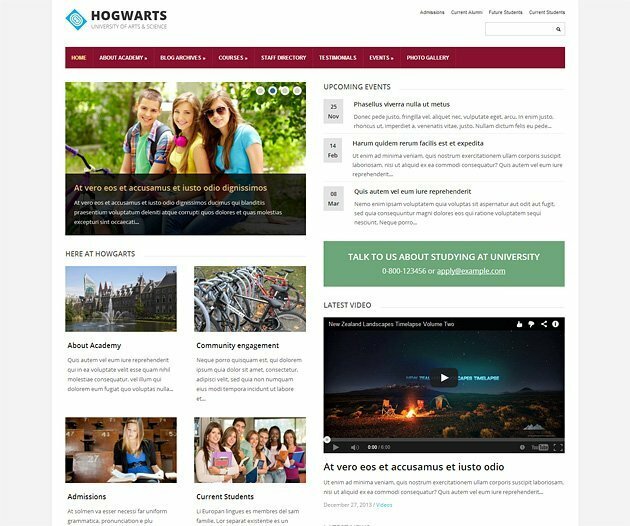 It is our first “wide” theme, as it has been developed with a 1200px width in mind (our other themes have a 960-1000px width). The homepage has a two-column layout and is fully widgetized: the structure of the homepage is completely constructed by using our custom widgets. You can find out more about our newest theme on the theme’s page.